Discussion in 'Mac Blog Discussion' started by MacRumors, May 31, 2011. Find My Mac is likely one of the new Mac OS X Lion features that Steve Jobs will reveal at next week's WWDC keynote. 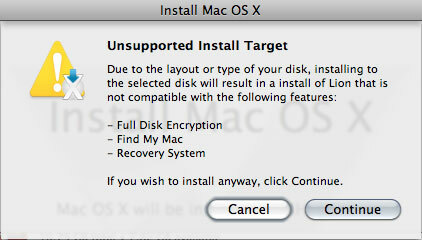 One reader has noted that Find My Mac is mentioned when reinstalling the latest version of Mac OS X Lion. There is speculation that the Find My Mac feature is dependent on the creation of the recovery volume in Mac OS X Lion. "Find My Mac" is expected to offer similar functionality as the "Find My iPhone" feature that Apple offers on iPhones. While most Macs don't have GPS built in, the same geographical Wi-Fi data used in the iPod Touch can be used to provide location data. Most Macs don't have GPS? Which ones do? GPS is not a requirement. iPods have the feature. So there are Macs with built in GPS? No, the article is wrong. New Macbook Air refresh w/ built in GPS! Would not surprise me if future MacBook Air and Pro models include a GPS. If not HFS+ journaled then what? Why would that be a requirement? The new encryption used by FireVault is on a disk-level rather than directory-level, and the recovery thing requires a separate partition I believe. It's probably still called "HFS+ Journaled" but it's a version later than the one that you'd have installed with Snow Leopard, and as such supports more features. It's like HFS+ Compression. It didn't exist prior to Snow Leopard, so Leopard machines can't even read HFS+ Compressed files. I imagine this will be the case with files encrypted on the disk level when interacting with Snow Leopard, although perhaps not. Oh yah. Because of the new encryption method, there should no longer be issues from time to time that end up locking you out of your home folder, so... Yay! We can now use FireVault without fear (as soon as Lion is out that is). If it does what I hope, I would love this! Excellent! Now I won't keep misplacing my Mac Pro! Interesting feature. But useless to me as I own an iMac. Lol. I've never heard of anyone misplacing their computer to be honest... I guess it depends on how severely unorganized you are, but yah. Mac desktop owners probably have no use for this feature (you'd think). A MB Air or an iPad with this feature and built in GPS would make for an interesting turn-by-turn navigation experience. I think this would be more useful in instances of theft, rather than misplacement. True. But even then, it's far more likely to happen to a laptop. Some people may travel around with a mac mini in their suitcase though... You never know. Most mac owners use laptops though AFAIK, so this feature does make a lot of sense. I doubt it'll do anything against theft. Anyone who steals a laptop would probably replace the hard drive before attempting to use it or before at least going online somewhere. A GPS which is on board and can't be "cut out" would be amazing against theft. I doubt it'll do anything against theft. Anyone who steals a laptop would probably replace the hard drive before attempting to use it or before at least going online somewhere. If they're smart, but that's a big if. Most thieves wouldn't even be aware of this feature. Obviously a GPS would be ideal, though. Seems quite likely to be something related to finding your Mac out there, on the internet/across a network to me. It'd certainly be less of a PITA than the current method, which assumes lots of knowledge and understanding on the part of the user regarding what a server is, what sharing is, permissions, etc etc. It seems that the more time goes by, the more the Mac strays from what it very successfully started out as - a computer that almost anyone could use. The amount of complexity now is getting ridiculous. the unsupported error is if you have a partition on your mac that is not HFS+ like a bootcamp partition. As long as every partition is hfs+ it will install the Recovery Partition and enable Full disk encryption and find my mac.